The theme of love has forever enchanted and encouraged poets for the century. Whether it is unrequited or secretive, love has fuelled some of the most beautiful and celebrated poems in history, with poets expressing their love in unique and moving ways. Sometimes nothing quite expresses your feelings as well as a good love poem. Sure, there are some sappy love poems out there. But there are also beautiful, poignant and profound love poems–after all, it’s been written about since people could write! These are some of the most well-known and my personal favorite love poems. There is a mix of modern poetry, romantic and classical poems. Click the name to jump the poetry. Classic and contemporary cute love poems to share. You can also read powerful short love poems. Written in 1813, She Walks in Beauty is often cited as one of Lord Byron’s most romantic and famous works. This specific poem is said to have been inspired by a real event in Byron’s life. Drayton, a contemporary and possible acquaintance of the Bard, evidently had come to the unhappy end of an affair when he penned this sonnet. He begins with a show of stoic indifference: “. . . you get no more of me,” but that can’t last. In the last six lines he shows his true feelings with a series of personifications of the dying figures of Love, Passion, Faith, and Innocence, which he pleads can be saved from their fate by the lady’s kindness. As with his most famous poem, “The Rime of the Ancient Mariner,” Coleridge employs the oldest of English forms, the ballad stanza, but here he uses a lengthened second line. Coleridge, by the way, could really tell a romantic story, whatever his ulterior motives. In this poem, the lover is attempting to gain his desire by appealing to the tender emotions of his object. He sings her a song about the days of chivalry, in which a knight saved a lady from an “outrage worst than death” (whatever that is), is wounded and eventually dies in her arms. The poet’s beloved, on hearing the story, is deeply moved to tears and, to make the story not as long as the original, succumbs. Poems about love speak about the passion, desire and vulnerability of being in love. Here another collection named Deep Love Poems For Boyfriend by Famous Poets. Burns’ best-known poem besides “Auld Lang Syne” is a simple declaration of feeling. “How beautiful and delightful is my love,” he says. “You are so lovely, in fact, that I will love you to the end of time. 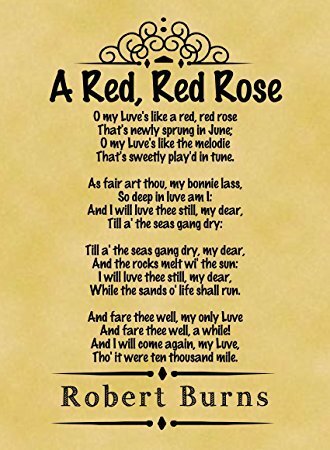 And even though we are parting now, I will return, no matter what.” All this is expressed in a breathtaking excess of metaphor: “And I will love thee still, my dear, / Till a’ the seas gang dry.” This poem has no peer as a simple cry of a young man who knows no boundaries. The story itself is a Poe favorite, the tragic death of a beautiful, loved girl, died after her “high-born kinsman” separated her from the lover. This love, hijacked by higher forces, painfully elusive, and wildly tempting is exquisitely real and compelling. The most romantic love poems for her. Clarke states that he wrote the poem in the early 1980s, inspired by popular music at the time to describe the poet’s devotion and admiration for his love. Derek Walcott’s Love After Love is written to the heartbroken reader, teaching them to love themselves and to find peaceful inner solitude after a breakup. The poem is found in the Nobel Prize winner’s Collected Poems: 1948–1984, and preaches that in order for the reader to love others again, they must first learn to love themselves. 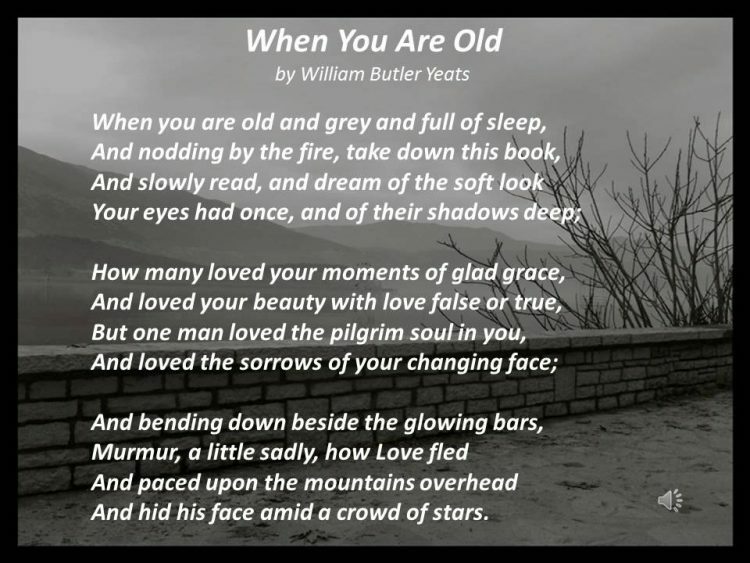 The poem tells the reader that when she is older, that she should read a particular book, which will remind her of her youth, and how one man loved her unconditionally throughout her life, for ‘…the pilgrim soul in you, And loved the sorrows of your changing face’. Although saddened by his unrequited love, the poet is not bitter, and states how his love will never fade: ‘…And paced upon the mountains overhead, And hid his face amid a crowd of stars.’ While the poem ends on a sad note, the slow tempo combined with poignant and caring imagery make this a beautiful, timeless love poem.